Involvement in our working groups provide unparalleled opportunities to learn from the very best in each field. We actively promote the development and sharing of knowledge and best practice that creates a rising tide of capability. Participation in our annual conference gives you access to a broader range of content and personnel from all functions of venue management. It is a unique chance to gather venue teams into a single location with a programme of content centred on the practicalities of delivering truly world class, inspiring events. The conference provides an unrivalled platform for discussion, networking and information exchange. To help individuals develop their career or for members to grow their organisations, we provide a recruitment centre offering essential information for job seekers and employers alike. The recruitment centre offers help to those wanting to join the events industry, make the next move or to find the essential candidate to fill a key vacancy. Our salary survey is essential reading for anyone who needs to benchmark salaries for different job roles. “Being a member of a working group ... is learning from others' experiences and knowing that, if in doubt, you can call on someone at another venue for information or advice." To take a "Talent" survey.. Following the March 2018 AEV Board Meeting a new Steering Group was created to look at Education and ways we can share best practice and find solutions to the challenges surrounding talent management. This group will be looking at training and career development, recruitment concerns and ways we can improve skills and cross-functional working practices. At the inaugural meeting in May it was agreed we need to seek a way to encourage the next generation to focus their direction towards the Events Industry. There are clearly many ways in which this can be achieved and we would like to explore how talent is currently being addressed / offered across our UK members. With that in mind a survey was issued looking at internships, reasons behind recruitment, apprenticeships and talent opportunities. The results of the survey is available to all members, and is available in our member zone - log in to view! WE catch up with the venue winners of the Exhibition News class of 2018 30 under 30 to explore their route into the industry. We celebrate the decision of the Exhibition News 30 under 30 judges, who picked three young venue professionals for their illustrious list, published in the September 2018 edition of the magazine. The accolades were awarded to Natalie Prew, Lindsay Ackers and Lucy Taylor of BDC, SEC and ExCeL London respectively. Only 3 venue organisations were represented on the list, and all are AEV member venues. Congratulations on being on EN's 30-U-30 listing! A great accolade and experience. What do you enjoy most about that honour? A complete surprise and indeed an honour. This is not only an award of recognition but a side window into our industry giving the class of 2018 an opportunity to meet with equally successful peers. It gives me an alternative route to contribute. I was excited to receive this award but also nervous given the expectations this accolade brings but I look forward to the opportunities the future brings. It was such a surprise! It’s a great achievement of recognition and I am very proud to be amongst this exciting generation of event managers. It was also appreciated to be recognised from the venue side of events. It was a complete surprise to be nominated and amazing to be on the final list amongst my peers. Hard work does get rewarded! To be one of only three venues included is an achievement itself when you consider how many venues in the UK hold events. What made you want to pursue events and what attracted you to working on the venue side of the events industry? My route to now is rather unconventional. After GSCEs I completed a BTEC in Hotel/Restaurant/Event Management. This included placement at Twickenham Stadium. It was there where my light bulb moment struck – my interest in venues rocketed. It was during the UK Venue Show when I met Max Bull (from BDC) who put me in contact with his team and I secured a one year’s placement for my University degree. 4 years later I am now where I am today. Working on the venue side of events has many benefits. Its location is fixed for one but you get to experience a kaleidoscope of content that comes to you and its great (and a proud moment) to see a space adapt to suit a variety of needs. During my time at RGU I worked for a year at GE Oil & Gas where part of my marketing comms coordinator role was events management – this is how I gained my initial interest in events. After managing and executing GE conferences in Dubai, London and Edinburgh, I continued my career in communications across a number of industries including education, third sector, renewables and oil and gas. I took a short break, travelling around New Zealand and Indonesia, and upon my return I pursued this interest further and have been employed as PR Executive at SEC for nearly 2 years now. Whilst I didn’t study an event specific degree, events can go hand in hand with communications roles. At its very core, events are a method of communication so it was inevitable that we would cross paths at some point! 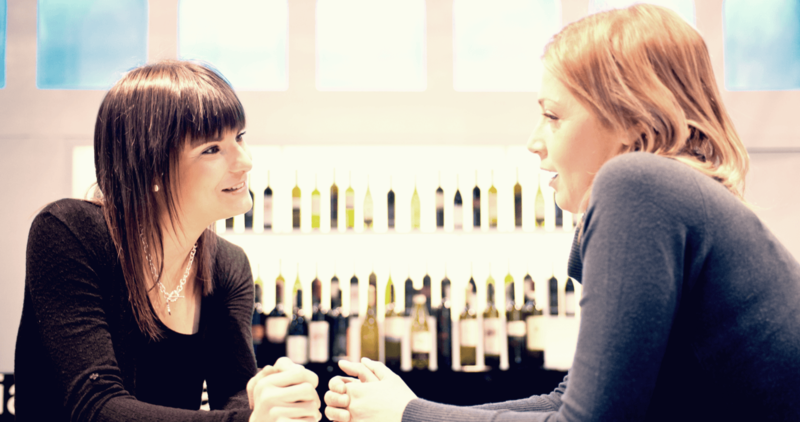 You are part of either our Event Managers or Marketing Communications working groups. What does it mean to you to be part of a working group? They are such great groups. The ability to share ideas gives impartial feedback, the positives of what we experience boosts confidence and the collaboration to manage the negatives give you strength and support. It is a definite morale booster, knowing you can use AEV as a conduit to others gives the Association the ability to be an extension to your team which in turn vastly expands your network. I also really like how attending the working groups enables us to visit other venues, and celebrate the variety of event spaces, within the Association. Since being on the working groups, I have been to Manchester Central, The SEC, The NEC, Excel and Olympia and soon we will be going to Farnborough International. I find it interesting to see how other venues are utilising their space to keep current within this thriving industry. Very often while working in PR, crisis communication is necessary. Being involved in a working group is an avenue to collaboration and joined up thinking - a real way to understand what other member venues go through and knowing that I am not alone is actually very comforting. I think communications tactics, especially crisis comms, are often kept a secret, but I genuinely believe that sharing best practice is a good thing. It’s an essential part of any business and shouldn’t be taken lightly! Collaboration and networking is vital in order to keep your views and opinions grounded in “event reality“ and meeting as a group twice a year gives us ample time to progress ideas and share formalities of procedure in an non-commercial environment. It’s quite reassuring to hear that people from other venues are experiencing many of the same challenges that we are currently facing. Through this collaboration has it helped you develop your career path? It has definitely helped me think differently and the working group output gives me key takeaways to consider. This collaboration has expanded my network – when based at a venue you only tend to meet people that come to us. The diverse community AEV achieves and as members we can tap into will certainly keep me within venues for many years to come. It has definitely allowed me to reach out beyond my immediate colleagues, giving me the ability to explore, share ideas, gain insights and solid learning that I may not have been exposed to pre-AEV membership. Regardless of geography I feel connected to a bigger event network. To be honest I have only just begun my journey on this particular path so perhaps it is too early to say, however having these connections and additional all rounded industry knowledge can only help secure my direction. The AEV contains a variety of venues, who I can learn new skills from and apply that to my events at ExCeL London. In your opinion, what is the greatest millennial myth? Sometimes we are made to feel pressurised to move positions/roles perhaps for the sake of the CV, when in my opinion if you are happy in your role then stability and stay ability is key. You can remain in one role and still experience success and develop yourself. It obviously helps being in a positive working environment and being employed by a supporting employer like BDC. We are lazy. The majority of millennials I know are some of the hardest working! There is a perception also internally that millennials have a thirst to move up the corporate (and financial) ladder quickly via multiple routes and as quick as possible, but that isn’t always the case. It would be ideal to remove the jop-hopping stigma – the majority of us aren’t just moving for money, we’re moving for greater experience and new challenges. “We are lazy”. It’s simply not the case - in this industry anyhow. I think the biggest millennial myth is that there is a myth! I feel it’s been created by the media to blame something on my generation! If we were that lazy then there wouldn’t be these 30 under 30 awards! It’s always hard to change people’s opinion on a generation however I’ve always had the mind-set of working hard to get what/ where you want and that it isn’t simply handed to you. 2019 looms. What do you think will be the greatest challenge facing our (venue) industry? Sustaining sustainability. The AEV Conference helped support this growing concern but it will be interesting to see if venues regardless of size maintains their good intentions. Health & Safety and qualities of stand builds. I’ve seen the quality of break downs lesser over recent times – perhaps pressure is felt to vacate the venue. Venues need to maintain and encourage strong unified working. Event venues are evolving but so are the needs of the organiser. For SEC it will be our continued expansion into 2019 – our campus grows and that will bring its own challenges and opportunities, I am sure. I think organisers will increasingly need to work and keep their events fresh, but I believe that presents a fantastic opportunity with venues being able to provide support from that aspect. We’re more than just bricks and mortar, we are experienced events professionals. I think as the world is continuously changing, there’s always going to be significant focus on safety and security, which goes hand in hand with crisis communications and PR. I also think sustainability is only going to become more and more prominent, so venues are going to have to adapt greatly to reduce their footprint. Brexit? Sustaining sustainability? Development of our venues and its surrounding spaces? Allowing diversity in event content, advancing venue tech to suit the needs of organisers. How do you see yourself building your career within our evolving industry? Everyone has to evolve to mirror the industry and the AEV working groups will definitely help be that link to the information and insights we will need. This will aid in my own career development and enable me to report back to my colleagues and as a venue we can mirror this evolution. I can see myself remaining on the venue side of the table – there are still many areas I can experience and as this industry changes rapidly I will have every opportunity to gain a varied career whilst at SEC and whenever the time comes to move to the next stage of my career I will be armed with a rather big toolbox of experience and ideas. Gaining experience through variety. AEV membership is definitely helping me build on that. Working on a wider variety of events, gaining more knowledge on different events. Final question..what should we be doing as an Association to satisfy this evolution? Remain on top of the trends and keep the working group agenda’s alive! Twice a year meeting for each Working Group is ample to deal with industry changes. Continue to explore future proofing the industry and encourage wider venue membership. Continue as you do to evolve with the industry - keep the working groups lively (either via agenda or people) and encourage attendance regardless of geography. Maintain the working group schedules and continue to ensure agendas progress /evolve to reflect any changes. It’s great to see recent new members of AEV are coming from non-traditional event spaces. This diversity will help to evolve the conversation.